Posada Quinta Las Flores is a 3.5* hotel located in Cuernavaca, Mexico. It features 30 rooms and swimming pools. 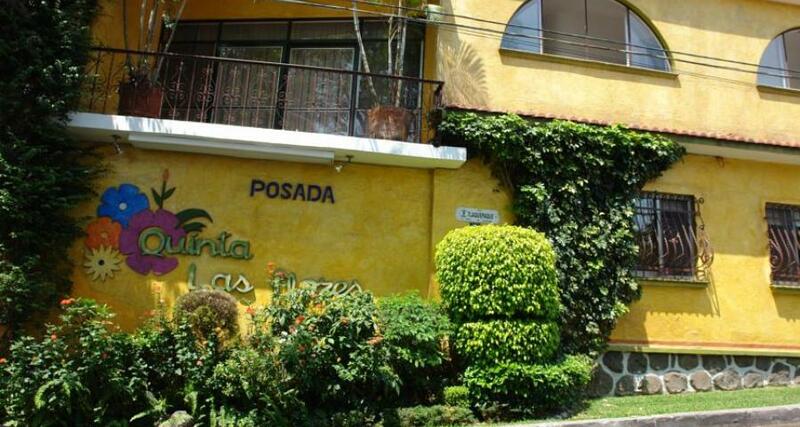 The Posada Quinta Las Flores hotel is surrounded by extensive beautiful gardens, with walls covered in cheerful bougainvillea plants whose colorful flowers mix with the blue of the sky to create a harmonious, serene and comfortable vibe. Designed for your well-being, this hotel has endless convenient details, while its great location in Cuernavaca is perfect for business travelers and vacationers alike.